complete the info card by clicking the button below. 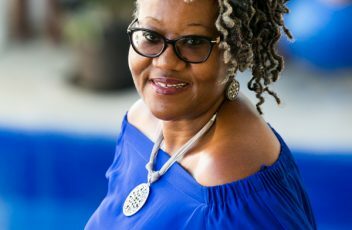 I‘m Gwen Lavender, the CAO (Chief Anointed Officer) and founder of Lavender and Sage Connections, SAGE (Sisters Aging Gracefully and Elegantly). I help the woman over 50, as her midwife, give birth to her dream, vision, purpose, to accomplish goals and to have more fulfilling life experiences. As a Certified Life Coach I offer unique insight and wisdom that is sure to guide you as you strive toward your life goals. Meaningful workshops for aging women on topics that matter and produces results. I live to encourage women.Invite me to speak at your next event. Like My Site? Don’t Miss Out – Subscribe Now!